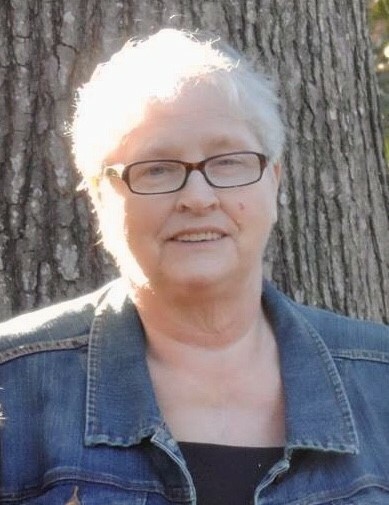 Patricia Hutchinson died Friday, January 25, 2019 at the Merit Health River Region Medical Center, She was 71. Born and raised in Vicksburg, she lived a number of years in Texas before returning to Vicksburg in 1985. She was an active member of Beracha Church. She was preceded in death by her parents, Albert Murphy and Effie Mae Martin Raines, a son, David, her brother and 3 sisters. Survivors include her daughters, Patricia Stevens, Melanie Serritello and Norma (James) Wilkerson all of Vicksburg, Leslie Stevens of Pensacola, FL, Tina Stevens of New Braunfels, TX, Nora Stevens of Bullard, TX and Jessica (Juan) Solórzano of Lewisville, TX; her sister, Betty Scallions of Vicksburg; 13 grandchildren and numerous great-grandchildren. Funeral services will be held Monday, January 28, 2019, at 11:00 AM in the Berachah Church with Rev. Roger Cresswell , pastor, officiating. Interment will follow in the Redbone Cemetery. Visitation will be Monday at 10:00 AM until the hour of the service. Pallbearers will be Jay Barlow, Austin Marshall, David Marshall, Patrick Pullins, Brandon Henry and Brian Henry.